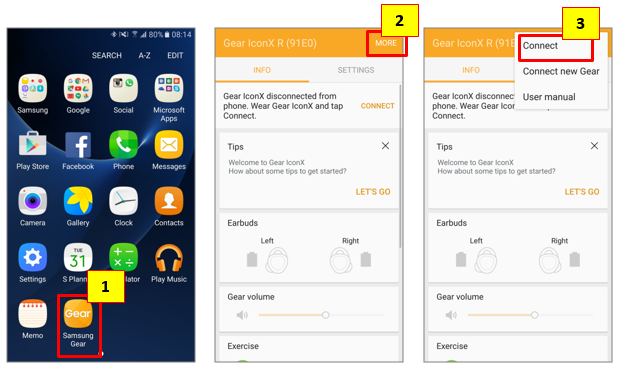 Gear IconX: How to reconnect the earbuds to a mobile device? they will automatically attempt to connect to the mobile device whenever you put them in your ears. open the Apps screen of the mobile device and tap Samsung Gear → MORE → Connect. Gear IconX: How to couple the two earbuds? Gear IconX: Another Bluetooth device is not located on my earbuds. What’s the problem?